Looking for a new job is a journey that can be full of twists and turns, but there’s a lot you can do to make your search more effective. 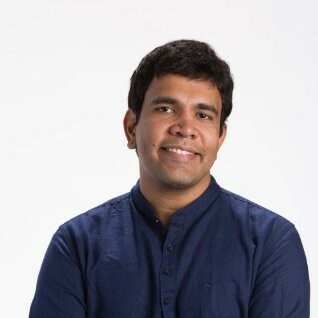 Through our own research, we’ve found professionals are changing jobs more than ever - especially among younger generations - and they’re often making career pivots or looking for more flexibility. Today we’re introducing some changes to LinkedIn Jobs to help job-seekers find the job that’s right for them - a new search experience, remote jobs search, and updates to LinkedIn Salary search. 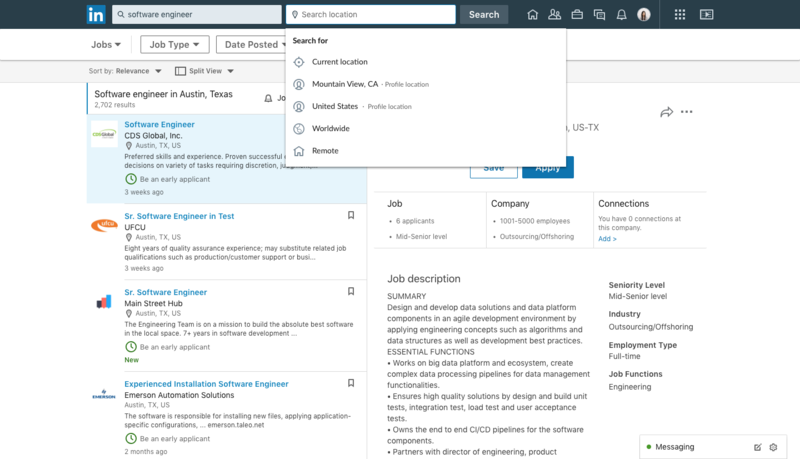 With the new LinkedIn Jobs search experience, you can scroll through jobs details, save the job that interests you, and see all the most important information - like company size, how many applicants there are, and who in your network can help - right at the top of the page, quickly giving you the context you need to decide if a job is the right fit for you. From our own research, we know most of you value flexible schedules and work/life balance, and often this means working remotely. A recent Gallup survey found nearly half (43%) of U.S. professionals spent time working remotely last year, so we wanted to create an experience that made it easier to find employment that does not require you coming into the office. 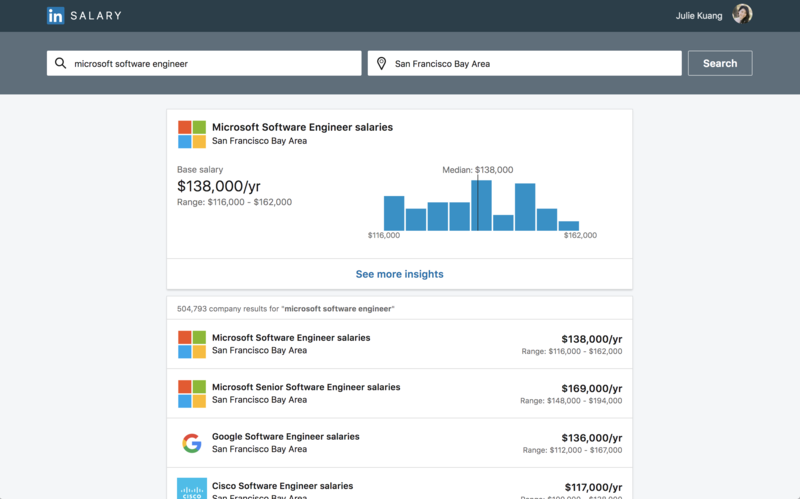 We’ve also introduced an easier way to search for more insights in LinkedIn Salary. 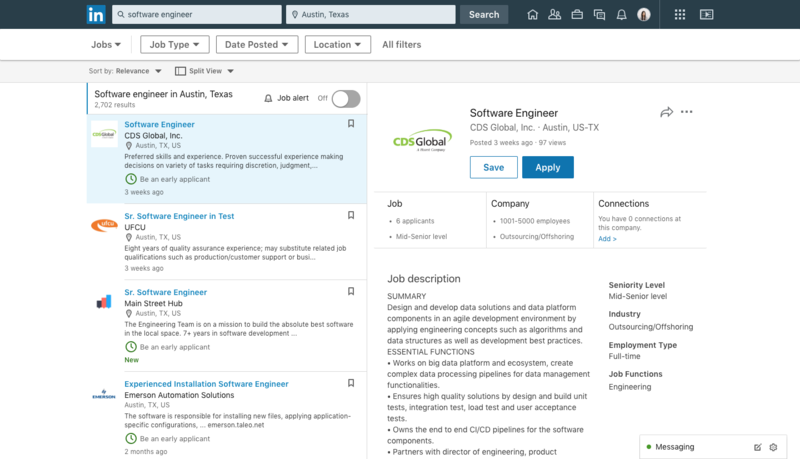 Now, when using LinkedIn Salary, you’re able to search by company - not just job title - to understand how different job titles are paid at the company you’re interested in. Now, when you follow companies on LinkedIn, we’ll prompt you to turn on job alerts to be notified when your dream company posts new jobs so you can be one of the first to apply. Your job search is important, and we want to make sure you have all the tools you need to find the job that’s right for you. Discover more than 15 million active job listings on LinkedIn.